Did Farmville Steal Game Code from a Competitor? Zynga, the big-hitting developers of games like FarmVille and CityVille, has found itself in court accused of not just ripping off another company's idea, but literally stealing the code for it. Developer SocialApps claims that it entered into an agreement with Zynga back in 2009 to develop a farming game, based on its existing Facebook title myFarm. SocialApps says that they entered into a Letter of Agreement through which Zynga would get their hands on myFarm's source code, however it's claimed that as soon as Zynga received said code they'd no longer return any of SocialApps' calls. A few months later, FarmVille was released, SocialApps accusing Zynga of using their code for the smash hit game and neither crediting them or paying them for their troubles. In terms of damages, SocialApps is looking for $100,000. 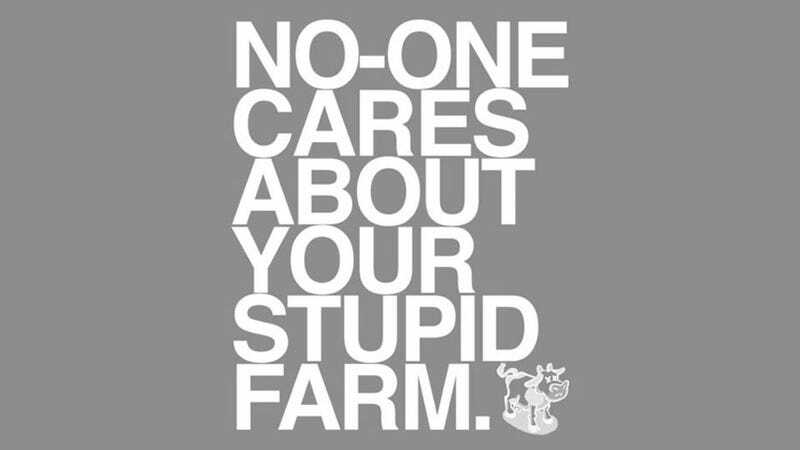 More importantly, though, it's also after a cut of Zynga's profits, believing every cent the company has made off FarmVille was down to myFarm's code. For good measure, it's also alleged that the same code is used in other Zynga titles like FrontierVille, CityVille and FishVille.